Our Raleigh, NC law firm, [firm-name], concentrates on all aspects of family law and limits its practice to family law matters only. We know how emotionally challenging family issues can be and how difficult it can be to see a marriage end. We are very experienced in these matters and can help you through the legal process. We take pride in being well-respected by Wake County lawyers and judges. Many of our cases come from referrals from past clients. This is a testament to the fact that our clients trust us and respect us enough to refer their family and friends to our firm. This is something we do not take lightly and we are very proud of this fact. When a client trusts us enough to handle these very personal and serious matters we consider it to be an honor and are proud of this fact. We then do our best to represent each and every one of our clients. To learn more about what we can do for you, contact our offices at (919) 833-1040. Our firm will provide you with the tools to make informed decision to help you to navigate through this difficult process. Feel free to explore our website and review our articles, bios, and other information to help you to understand a little bit about who we are. Then, schedule a consultation and see for yourself how we can help you. You can call us or email us at any time if you would like to discuss our services. 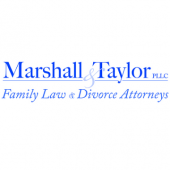 We understand that dealing with family law issues is very difficult both emotionally and financially. To learn more about our offices, or to schedule a confidential consultation with our experienced attorneys, contact us today at (919) 833-1040.